If you are a retailer or wholesaler you probably know this: though cost and retail are two standard types of prices you deal in, they are not the only types. Business owners want to remain open-ended about their pricing strategy. There can be different types of retail prices depending on the type of customer or the nature of the product. In this blog post, we will show you how to keep retail price flexible and in which situations flexible pricing can be helpful. As you know, Candela customer order and layaway feature helps you book advance orders for your products. At times, you may not have any idea about how much the finished product would cost, and the only thing you are certain about is the percentage of profit margin you want to keep. In such cases, you can simply define the percentage of profit you want to charge and keep your retail price flexible. Candela will automatically calculate the cost price according to the profit margin. Suppose you have a boutique business where you also take orders for wedding dresses; you have no idea about what the finished dress would cost because the final cost would depend on the customer’s requirements like material, embellishments, etc. But you have fixed your profit margin at 40 % (this means your cost will be 60 percent of the total retail price), and want to have the flexibility to decide the retail price once the dress is made. On Product Definition screen, define the product by entering its name and code. Now in the Average Cost field enter the percentage of cost that will be incurred according to your pre-decided profit margin. Don’t enter any price in the Retail Price field. Mark the checkbox User Price and Save. Once you have defined your product with user price and made the cost price calculation you can sell it at any price you want to. Candela will automatically calculate cost according to the percentage mentioned on the product definition screen. Similarly, you can also manage flexible pricing for everyday products. There are certain everyday products whose selling prices you may need to change regularly. For example, there is a frequent change in egg prices. 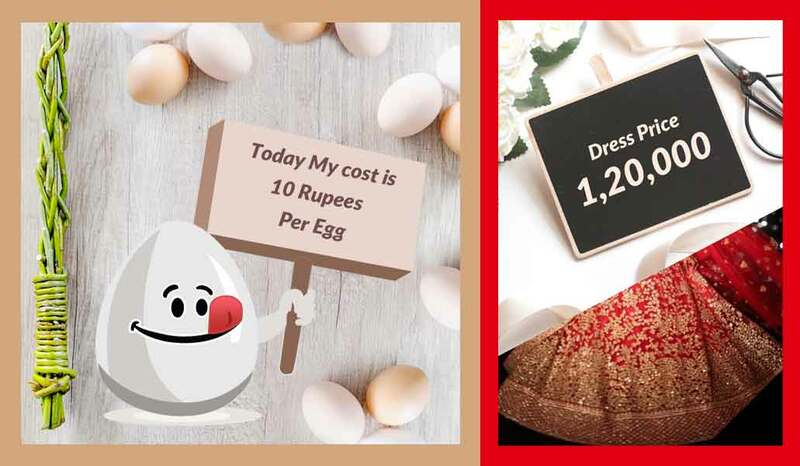 You can follow the above-mentioned steps and use the user price feature to manage cost and retail of eggs. This means you will define egg, enter cost percentage according to the profit margin you want to keep against each egg and check the User Price checkbox. Another way to manage change in the run-time display of pricing is through price editing rights. From Security>Users screen select the user (from the grid) to whom you want to give the price editing rights. For the user having this right the price field on the Sale and Return screen becomes editable. You can use the User Price feature to manage flexible pricing for your customer orders and everyday products. Price editing right also gives you the freedom to change run-time pricing display. If you want to know more about various pricing strategies in Candela, shoot questions at us in the comment section!